That is COOOL! Did you build that? Yes I did, I was riding a conventional one for a small restaurant downtown on Fri and Sat nights but they went out of business, I was planning on building this from the first night (I consider conventional bike seats torture devices) so when they went under I just accelerated the build. Built in 1 week, 2 weeks for paint (ps-don't use ace hardware paint). I haven't had time to ride it much in the last couple of semesters but it has accumulated about 400 miles so far. Agreed. I've barely straddled a "wedgie" since I went recumbent. 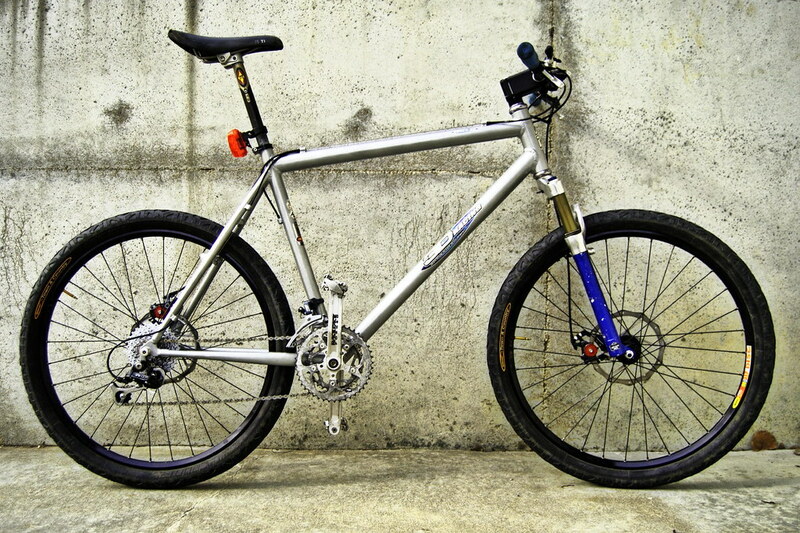 I'd like to build a bike, but I haven't welded since highschool decades ago. I do want to build a velomobile. I think I'll start with a shell for my tadpole. 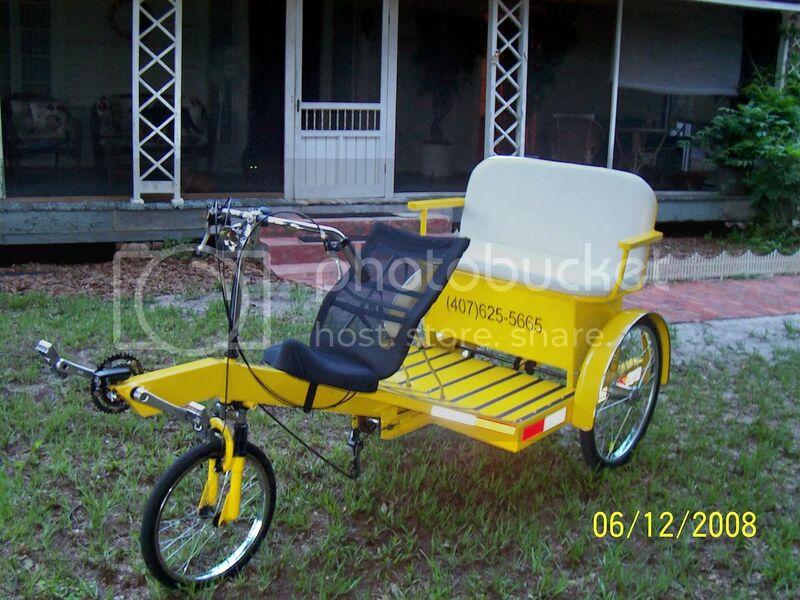 How much does your rickshaw weigh? It's a beast, designed for strength with little regard for weight, so it is about 190 lbs and it's had a gross weight of over 1000 lbs a few times. I made this for my kids from parts I found at the dump. 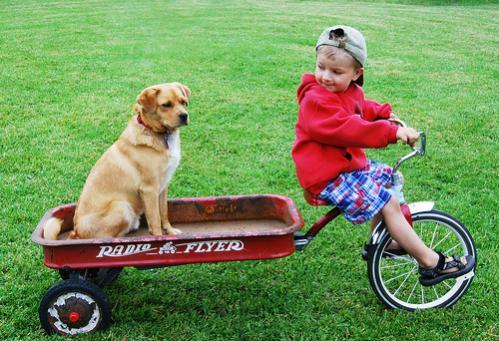 I can peddle it if I sit in the wagon. The next one will be full sized. Last edited by jmf; 03-10-2010 at 08:18 PM..
My computers are not co-operating lately, but you can see more of the trike in my avatar pic at The Car Cycle There's a link to more pics and lots of tech details from that page. I finally understand the image in your avatar... That took long enough LOL. That "Car Cycle" is something I would seriously operate, nix the tailfin, probably. It's a very clean design, from what I see, and looks simple enough that it could be repaired/altered easily and without much hassle to fit any given situation. Congrats on building it, Bob. might have seen this before- EZ Tadpole- velomobile kit - top on and top off. Over 5 years old now. (thumbnail photos easier) Hole on right side is for 3 fresh batteries. Door for that hole is around here somewhere. 11 years, countless miles, all kinds of good memories.